Unroll dough; separate crosswise into 2 sections. Press each section into 6-inch square, firmly pressing perforations to seal. (Scrape some of the white outer skin off the Brie, if desired.) Place the Brie on center of first dough square. Arrange apple slices on top, and sprinkle the brown sugar on top of the apples. Pull up the sides of the bottom dough square, then place the remaining dough square on top of the Brie, apples and brown sugar. Press dough evenly around cheese, pressing to seal completely. 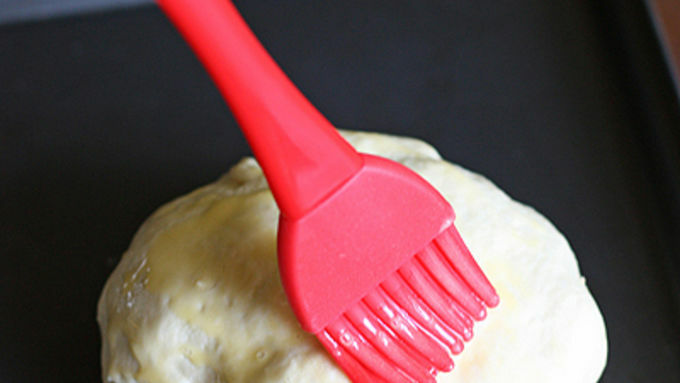 Brush beaten egg all over the dough. Place on cookie sheet. Bake for 20-25 minutes or until golden brown. Remove from the oven and let it cool for 10 minutes. If you serve it piping hot, all of the cheese with escape. Serve the Brie with crackers or apple slices. Apples and cheese...together? If you haven't tried it, buckle up and hang on for a tasty ride with this crescent-wrapped baked-apple brie. As a little girl I remember one of my favorite after school snacks was a slice of apple wrapped in cheese. For some reason the sweetness of the apple and the savory cheese pairs together so well. 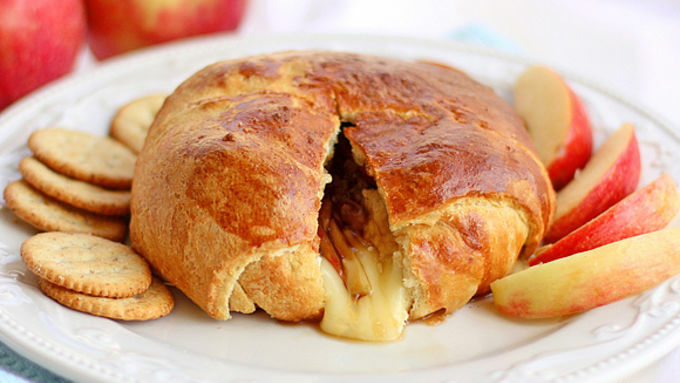 This Crescent-Wrapped Baked Apple Brie is the grown-up version of my childhood snack. 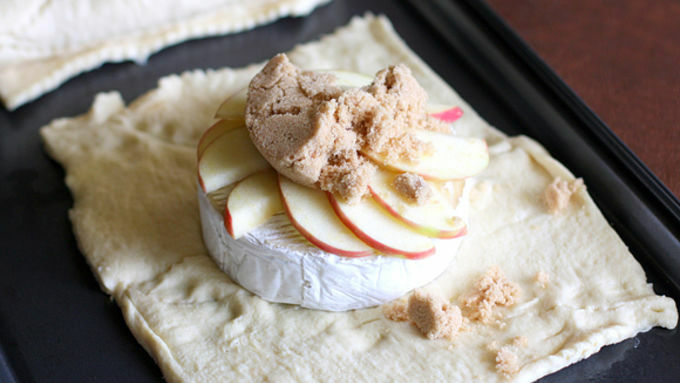 Brie is topped with sliced apples and a sprinkle of brown sugar and then wrapped up in buttery crescent rolls. Not only is this an elegant appetizer, but it only takes about 10 minutes to put together. 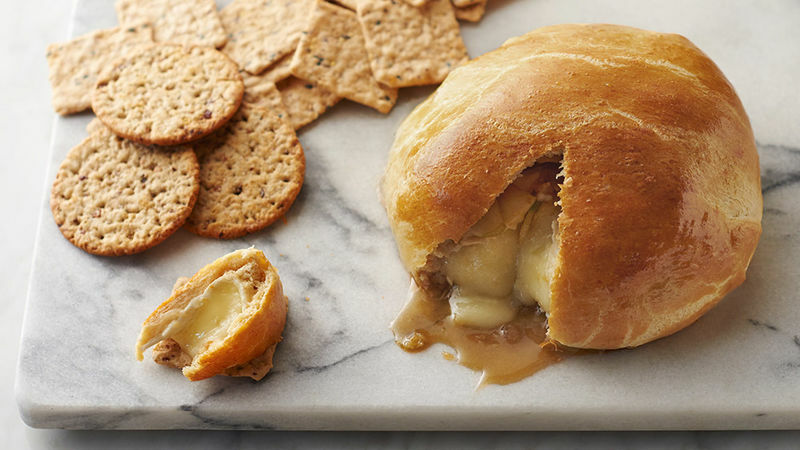 Enjoy your warm baked Brie with crackers, apples, or just by itself. This appetizer has no problems standing alone. This elegant app will disappear before your eyes!